Greenhouse is a building with a roof and sides made of glass or polycarbonate sheets, used for growing plants that need warmth and protection. 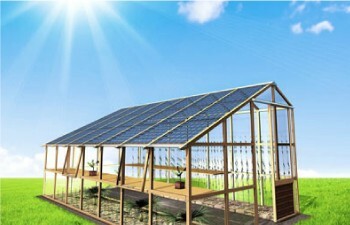 In the case of solar-powered greenhouse projects, the roof is used to place PV panels for energy generation while side sheets can be removed when required for controlling the environment inside greenhouses. 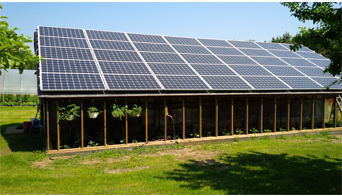 Solar panels produce electricity to power electric equipment in the greenhouse like fans, pumps or lights. Solar panels on greenhouses offer the following benefits. With solar greenhouse projects that the water used for cleaning solar panels can be used for watering the agricultural produce below it. The common use of water can help result in some form of savings. In rural areas, where grid connectivity is poor, the excess electricity produced from the solar-powered greenhouses can be used to power parts of the village. 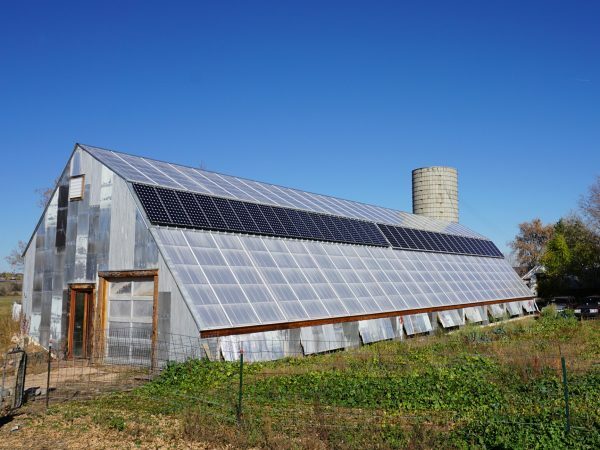 Solar greenhouses can be a good way of promoting solar in rural areas, which is where greenhouse facilities are more common and ideal to set up. If large solar greenhouse projects are set up, the power generated can be used for powering nearby households, or even pumps and drip irrigation units used in such facilities. Apart from producing solar-generated electricity in power-deprived rural areas, large-scale solar greenhouse projects have the potential to churn out a lot of jobs too. 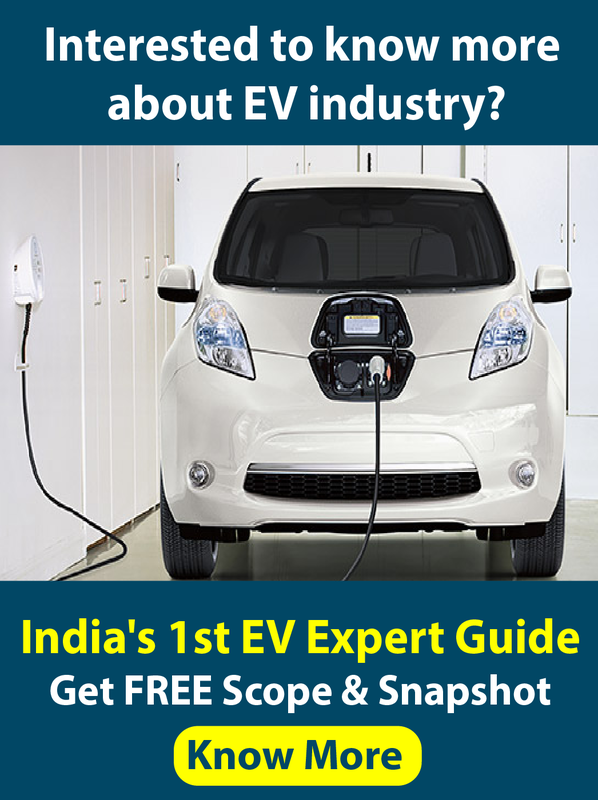 When you take a look at the benefits solar greenhouses provide to the farming community in general, along with potential to address the power shortage problem, it definitely looks like solar panels over greenhouses is a good and practical idea in India. And the government, with the kind of targets it has for solar power, might even be willing to incentivize this segment to achieve their goals. Although there are no documented case studies of solar panels over greenhouses, Solar Mango would like to bring to your attention an interesting development in this area. 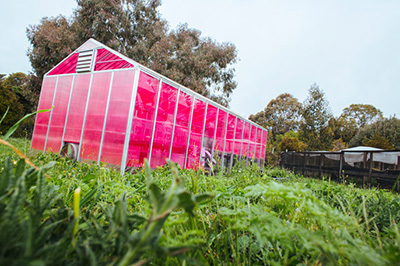 This figure below shows translucent magenta-colored panels for the greenhouse. These panels, developed by a company called Soliculture, absorb green light and emit red light to enhance the power generation of the solar cell – and the excess red light happened to fall exactly in the range of the spectrum that plants use. 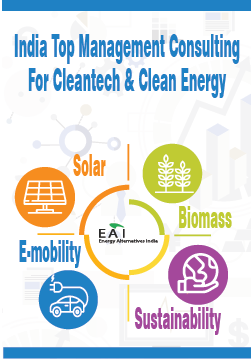 This solution ensures that the excess red light which passes through is used as fuel for the plants rather than being wasted. In this case, the biggest barrier to greenhouse adoption is cost, including the cost of installation and materials, and the ongoing cost to cool, heat and light the greenhouses. Using solar panels to generate electricity dramatically lowers the cost of powering a greenhouse. According to Solar Mango, in an agrarian economy like India, solar-powered greenhouses make good economic sense and can be a sustainable solution for the future.